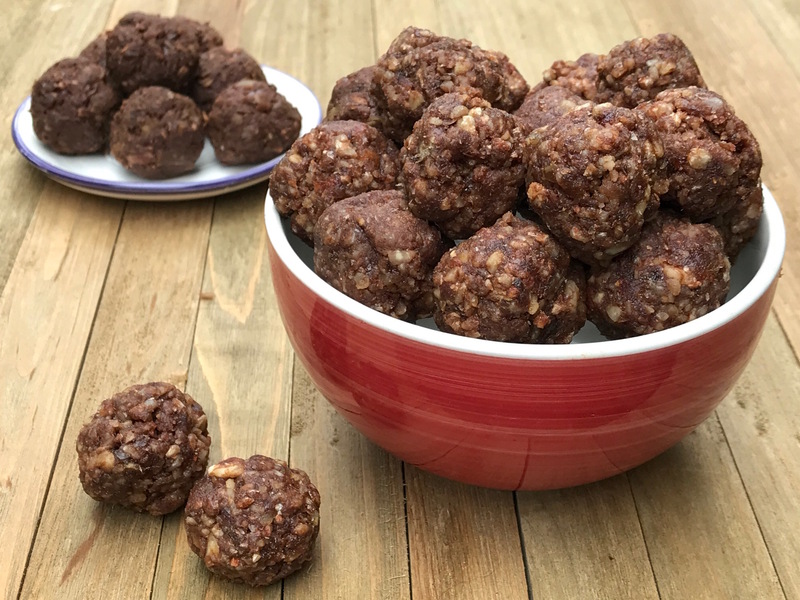 Enjoy one of my favorite healthy snack recipes! Combine all ingredients in a food processor and blend. You want everything to be combined and the mixture to stick together when formed into small balls. Roll into balls. Store in airtight container in the refrigerator.